Home > Archive by Category "Immigration Law"
There are 44.5 million immigrants living in the United States, according to the 2017 Census Bureau. If you’re thinking of living and working in the U.S., you’ll have to go through the immigration process first. But, it’s not as easy as it sounds. You might be asking yourself, “do I need to hire an immigration lawyer?” The short answer, no. But, you might want to. Anyone who has gone through the immigration process will tell you that it’s no joke. Depending on which route you take, the immigration process can take up to a decade, and the more mistakes you make, the longer it can take. This is precisely why an immigration lawyer could be crucial to your case. 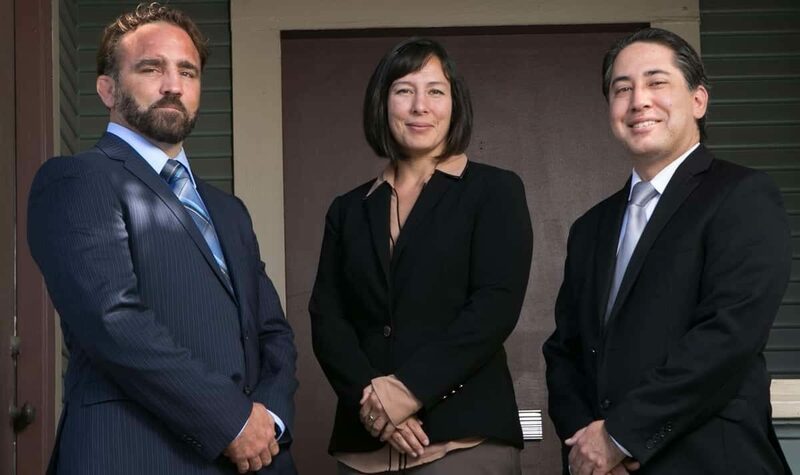 Read on to learn more reasons why an immigration lawyer can make or break your case. First off, ask yourself one question: Are you perfect at meeting deadlines? You’ll want to be honest with yourself. During the immigration process, you’ll encounter what seems like endless deadlines. You’ll have time limitations on filing certain paperwork, turning in proper documentation such as birth certificates, and even presenting supporting evidence such as petition letters. On top of paperwork deadlines, you’ll have many appointments you’ll need to keep track of. Depending on which process you’re going through, you may need to attend several interviews, be present for multiple oaths, and have your fingerprints taken. Having a lawyer available to keep track of these deadlines and appointments can make a big difference. A simple appointment reminder can prevent your entire case from being pushed back to the bottom of the pile, or even denied altogether. It’s true; the paperwork is killer. A lawyer will ask you questions so he or she can fill out the paperwork on your behalf. You can fill out the forms on your own, but be careful not to make any mistakes. A simple mistake of checking the wrong box can result in the denial of your entire case. If your case does get denied, you’ll have the opportunity to dispute the denial. Disputes can get tricky, though. An immigration lawyer is trained for this type of situation. They will search for legal loopholes and policies that support the dispute. This makes your overall success rate much higher than if you were to apply on your own. Immigration interviews can be intimidating, to say the least. It’s easy to say the wrong thing and find yourself denied. An immigration lawyer will attend these interviews with you, so you won’t have to worry about saying the wrong thing. They will prepare you for possible questions as well, so there won’t be any surprises. Most importantly, lawyers are there for you from beginning to end. They’re there to answer any and all of your questions. Unfortunately, not all immigration lawyers are created equal. It’s important to do a bit of research before choosing an immigration lawyer. If you’re ready to hire your first immigration lawyer, check out these tips for finding the perfect immigration lawyer. Thanks to technology, there are so many websites that offer reviews on different subjects. This includes the best lawyers to hire. Before you hire your immigration attorney, you should try and find a review about them. This will help you know the type of person that you are dealing with and how you should prepare yourself. Furthermore, you can also visit the lawyer’s website and check out what their former and current clients have to say about their services. Don’t ignore this information as it may end up saving you from hiring the wrong lawyer for your case. Before you hire anybody, it is wise to conduct an interview with them. This is to allow you to find one who matches your needs, according to thoughtco.com. You should do this interview face to face and not over the phone if possible. This is so that you can observe their facial expressions as you ask what you want to. Don’t be afraid to compile a list of relevant questions for the attorney in question. It is their job to put your mind at ease and convince you that you should hire them. However, if the attorney seems unfriendly, consider finding another option. Experience is the best teacher. Through experience, people are able to learn from their mistakes and adopt new strategies to prevent them from making the same errors. Thus, it is important to find an immigration attorney with the right amount of experience. Such a person has handled his or her fair of cases and knows how to handle such cases. You will be in safe hands with such a person. Furthermore, you should also consider finding out their track record. It is better to hire a winner as you stand a better chance in court. Immigration is a tricky subject. The U.S. government is currently undergoing a series of modifications in the policies for that matter. Whether you’re planning on going to the U.S. or you already live there, this article untangles the current state of the immigration system. In this way, you will know what to expect and what to do in case you are at risk of being deported. According to the Migration Policy Institute, there are an estimated 43.7 million foreign-born citizens living in the U.S. as of 2016. However, only 21.2 million (48.6%) of those citizens are naturalized, while the other 22.5 million (51.4%) are immigrants. From that 22.5 million group, an estimated 11.3 million (50.2%) are illegal immigrants, with about 8 million of them currently in the workforce. Furthermore, about 53% of this number comes from Mexico, while the rest come from Central American and Asian countries. However, since the 2009 Great Recession, the illegal arrivals from the Mexican population have decreased. Nonetheless, the issue still remains, with an increasing number of illegal immigrants from Central American, Asian and African countries, surpassing the Mexican inflow at its highest point. The main reasons why people immigrate illegally to the U.S. are because of the lack of opportunities in their native countries as well as being faced with a very difficult authorization process that leaves a total of 4 million people on the immigrants waiting list. Although it is a multicultural civilization, the U.S. started to regulate immigrant activity in 1924. The government established the Immigration Act that would give VISAs to only 2% of immigrants from each country. By 1970, immigration hit an all-time low at about 4.7 %. This was due to the fact that policies were changed 5 years before by a Nationality Act that eliminated the 1924 quotas and gave priority to those with competitive skills or those who were joining a family living in the U.S.A.
Today’s immigration laws are totally different because the economic picture is not the same as it was 50 years ago. The immigration systems got adjusted to cover the demands of the current era. Besides, one of the key aspects of Trump’s presidency is focused on immigration. A VISA is the first document that a foreigner must obtain in order to enter the U.S. Although it depends on the country of origin, obtaining a VISA can be a time-consuming process that demands to fill a series of applications and handing in documents, as well as having a final interview. This way it is determined whether you’re a good candidate for the VISA or not. The VISAs contemplated for immigration purposes are classified as follows. If you get caught without a VISA or if it happens to be violated, deportation will be automatic in most cases, without any intervention from the immigration court. One tip is to get copies of your passport biography page, your visa, as well as the admission stamp (paper form I-94) as soon as you arrive into the U.S. This way you can ensure that you are protected in case any of these documents get lost or stolen. If the VISA gets lost or stolen, report it immediately to a local police station by bringing in the copies of the documents. You will also need to report the lost/stolen status of your VISA to your country of origin’s U.S Embassy or Consulate, in order to apply for a new replacement. This is normally done together with a copy of the police report. Which Countries Are Banned from the U.S.? However, for countries like Iran, people with exchange and student visas can still enter the country, as long as they are valid, while Venezuela’s ban only applies to certain government officials. DACA is the acronym for Deferred Action for Child Arrivals program. Despite the controversies caused by misinformation from the mainstream media and political biases, the program was set during the Obama era in order to protect children who were brought in illegally by their parents. An article from the Abdelhadi & Associates, PC ‘s blog, explains that DACA’s true purposes were distorted because many argued that the program was a misuse of presidential power. Stating that it was an affair that only the Congress had voice and power on. However, the program officially launched in 2012 and has saved a total of 700 thousand children from deportation. Things got messed up when president Trump announced in late 2017 that DACA would be phased out, giving the Congress a 6-month period (March 5, 2018) to replace it with the DREAM Act. Recently a U.S. appeal court in the state of California ruled in favor of continuing the program throughout Trump’s presidency. Naturalization is the ultimate goal a U.S. immigrant aims for. However, the process is complex and confusing for many, as the criteria are stricter than in the VISA process. Becoming a naturalized U.S. citizen can first of all be up to mere luck such as winning the Green Card in the Green Card Lottery. Besides the Green Card, there are other ways in which you can become a naturalized U.S. resident. Have not spent 6+ weeks away from the U.S. Though there is more to it, this is the general prospect of what to expect if you want to live in the U.S. Moreover, if you are a U.S. immigrant who’s having trouble with the law because of any immigration process went wrong, don’t hesitate to contact a professional attorney that specializes in foreign affairs so he or she can help you determine which options are best ones for you. Have an Australian partner and want to join him or her in Australia? Or maybe you have a foreign partner, and you want the process of your reunification to be as smooth as possible? The read on. In this article, we will break down the different Australian visa options you can explore if you want to join your partner in Australia or if you want your partner. What visa subclasses are available for foreign nationals who wish to join their Australian partners in the country? If you are planning to marry your partner before the end of the visa period, then the Subclass 300 or Prospective Marriage Visa is for you. If you want to apply for a partner visa in Perth but you’re going to lodge your application from outside Australia, then you’ll have to apply for the Partner Visa Subclasses 309 and 100. If you are already in Australia and you want to lodge an application for an Australian partner visa, then submit an application for the Partner Visa Subclasses 820 and 801. When you have the Prospective Marriage Visa Subclass 300, you can stay in the country for up to nine months after it has been granted. It allows you to work and/or study in Australia, as well as travel to and from the country whenever you want. Keep in mind, however, that this is a temporary visa, and that you must be outside the country when you lodge an application. The cost of applying for this visa subclass starts from AU$7,160. You and your partner will also need to shell out money for an additional family member (say, a child or a sibling). The initial cost does not cover police clearances or certificates, medical exams, and biometrics. Now comes the hard part: the waiting game. According to the Department of Home Affairs, 90% of the applications will be processed within a 16-month period. The rest, on the other hand, will receive the result within a 13-month period. Keep in mind that the processing time will be longer if you made mistakes in filling out the forms or you did not include all the documents the department requires from you. The Partner Visa Subclasses 309 and 100 allow you (whether you’re the spouse or a partner) to live in Australia. You should be outside the country when making an application for the Visa Subclass 309. But what’s the difference between the two subclasses? The Visa Subclass 309 is also known as the provisional visa for foreign partners, while the Visa Subclass 100 is known as the partner (migrant) visa. Both visas allow the spouse or de facto partner of Australian permanent residents or citizens, as well as eligible New Zealand citizens to live in the country. The first subclass is only a temporary visa, while the second subclass is a permanent visa. You must be a holder of the Visa Subclass 309 for you to be considered for a Visa Subclass 100. The Visa Subclass 309 allows you to stay in the country temporarily until a decision regarding your application on Visa Subclass 100 has been reached. To qualify for these visa subclasses, you should be in a genuine and committed de facto relationship with or married to an Australian citizen. The same also applies to people who are in a relationship with an Australian permanent resident or an eligible citizen of New Zealand. If you and your partner are in a de facto relationship, you must have evidence that you have been living together for the past twelve months. If you have lived apart during the course of your relationship, make sure that the periods were only a short amount of time so as not to complicate your visa application process. There are many similarities between the Visa Subclasses 309 and 100 and the Visa Subclasses 820 and 801. But if you’re already in Australia, you should apply for the latter instead of the former. If you’re applying for the Subclass 820, then remember that this is a temporary visa. This particular visa is the first step towards obtaining a permanent Partner Visa Subclass 801. If you are granted the Visa Subclass 820, you can live, study, and/or work in the country while your application for the Visa Subclass 801 (permanent) is being processed. You can also travel to and from the country as much as you like. It also entitles you to attend free English language classes. Once your Visa Subclass is granted, you can stay, work, and/or study in the country permanently. It also allows you to sponsor family members given, of course, that they are eligible. You can also apply to be an Australian citizen if you are eligible. There is, of course, the issue of the cost of applying for the visas. Those who have the Visa Subclass 300 or Prospective Marriage Visa will need to shell out $1,195 or more. The price, however, becomes steeper for other applicants. Those who have other visas will need to shell out $7,160 or more for the visa application process. But don’t worry, as the cost will cover the application for both Visa Subclasses 820 and 801. If you find the visa application process too complicated or if you feel that your case is complex and you need help navigating the Australian partner visa application process, then it’s best to hire a registered migration agent in Perth for you. Since the beginning of human race the desire for a better living has always been in place. This includes an upgrade in living standards, change in surroundings, better life opportunities etc. On the other hand war-torn countries are also there which are no longer fit to live in. Looking at both sides one can say that in this modern era immigration has come into vogue for some very obvious reasons. But as we know that every perk comes with its drawback, similarly there are several factors that have to be put into consideration before taking any further step. 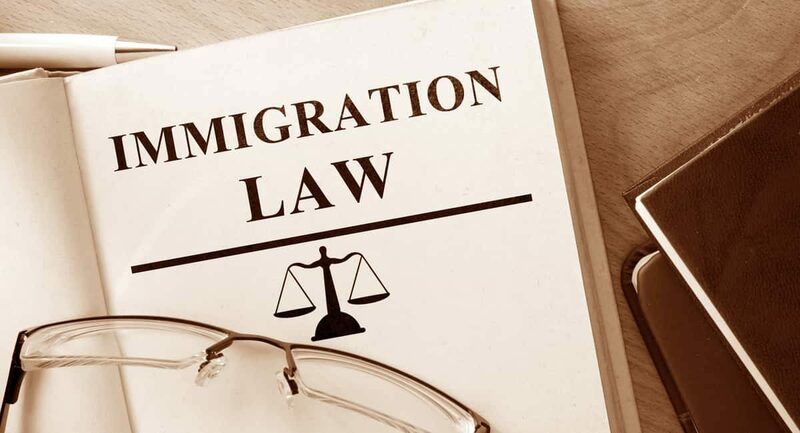 If you are planning to apply for shifting to another country or have been facing issues with any of the procedures then get along with Some Well-known Lawyers to make your case stronger and find the best solution to any of your concern regarding Immigration. However in the past fifty years the world has seen millions of migrants but if we take a look at the United States of America it alone hosts a whopping 38 million migrants. Let’s take a look at how the US Immigration operates. Permanent Residents are those who are Green Card holders. By becoming a Green Card holder a person becomes eligible to live permanently in the US and also work and progresses like a normal citizen. To obtain this status there are different options. Mostly the people are sponsored by a family member living and working in the US. People can also achieve a resident status through a refugee or any other humanitarian program. Get in affiliation with some good attorneys who bring the best way for you to migrate to US by tackling problems caused by any mean. Conditional residents are ones who have married less than two years before they received their Green Card. In order to remove this ‘conditional’ status the person has to file a joint petition along with their spouse within 2 years of receiving the card. This petition process takes up to 90 days. In case this status is not removed then the threat of cancellation of Green Card is possible, even leading to deportation. These people are not actually the residents of United States but they are the ones who have migrated to this country by fraud means. An undocumented resident has no say in the running of the country; neither does he have access to basic facilities like health care and education. These people have a threat of being deported from the country or even spending time behind the bars. In that case you need to get in touch with the companies who highly condemn the flow of such immigrants and urge all the people to find a secure and legal way to migrate through their state of the art services. Opting to choose to go for some legal advice before you plan on to do any work regarding immigration can come in handy. With so many procedures and protocols it seems almost impossible to complete all that on your own at first. In such situations a lawyer can help you out. These lawyers know how to get people through the immigration procedure without any hassle. The immigration process that the US holds is quiet extensive and can prove to be daunting. So having an experienced attorney by your side can be your guiding light throughout the procedure and help you achieve your American Dream. In the past, huge delays have been observed on even the slightest of mistakes that one can possibly make leading to a lot of wastage of time as well as capital. The skilled and experienced work force of this company allows its customer to have all their queries addressed in a very short span of time. By looking at the level of service each company provides we can sum up that It is undoubtedly one of the best performing firms that handle Immigration cases across the United States of America. Immigration to the US is a hot topic of conversation these days. The Deferred Action for Childhood Arrivals (DACA) continues to be debated. The government is more carefully checking refugee status applicants. There is disagreement about which countries should be allowed to send visitors. We’re even in a time when some people can’t enter the US, even for a visit, because of their home country. Many people are now left wondering how to enter the US legally. This article will walk you through the most common ways to enter and stay in the US. Visas are a common way for people to enter the U.S. People often think these are only for short trips, but there are actually two types of visas. Non-immigrant visas let people apply for trips, vacations, or anything that is time-limited. Immigrant visas are for people wondering how to immigrate to the USA. A visa is really an application to enter the US. They can be approved or denied by Customs and Border Patrol Officers when you’re entering the country. There are many different forms of non-immigrant visas. For example, an exchange student has to get a J visa, while an athlete has to get a B-1 visa. The following chart shows the most common immigrant visas if you’re wondering how to legally immigrate to the US. There are also several visa categories for employer-sponsored employment visas. To get a visa, you also have to pass an interview and pay a fee. When it comes to how to enter the US legally, a visa is a great way to go. It’s important to note that Customs and Border Control Officers can deny anyone entry to the US, even if they have a valid visa. Since it is up to their discretion, you may want to check in with the Customs and Border Control Office before your arrival. If you are pregnant and trying to immigrate to the US, you should definitely contact this agency before your planned entry. Some officers will take your pregnancy into account before they allow you entrance. This is to prevent people trying to enter the country on a temporary visa, have a child, and return to their own country to give their child American citizenship. On another note, if you’re looking for ways to enter the US or other countries with visas, you may need to look into getting another passport. Companies like Legacy Citizenship can help you get them. While anyone can apply for a visa, you have to fit specific criteria to apply for refugee status. For example, because of the war in Syria, many Syrians have been applying for refugee status. Also, during the Iraq War, people who worked with the American army as interpreters were often threatened by other Iraqis. They applied for refugee status because of fear for their lives. To apply for refugee status, you have to apply to the United Nations High Commissioner for Refugees. These workers screen people and decide which country would be the best fit for them. Only about 1% of applicants are matched to the US. If you are wondering how to enter the US legally with refugee status, the next step is to get a referral from the US Refugee Admissions Program. If you’re accepted, you get help with your application and a US Citizenship and Immigration Services interview. If you’re cleared by them, you have to take a doctor’s exam and cultural orientation class. From there you’ll get help with travel plans and even a loan if you need it. If you come from a country on a terrorist watch list, you will have to get extra screenings. US organizations like the FBI and National Counterterrorism Center may also check immigrants applying for refugee status. All of this can take between a year and a half to two years. The last requirement of how to legally immigrate to the US with refugee status is to apply for your green card within two years. A green card is the golden ticket for those wondering how to enter the US legally. A green card lets people who are not citizens stay and work in the US. Immediate family members of US citizens are at the front of the line to get green cards. You can apply for them if you fall into the other two categories too. You might have more questions about applying for a green card through your employer. Talk to an immigration lawyer rather than an employment lawyer. Anyone applying for a green card has to have a clean record though. Anyone who has been in trouble with the law since entering the US can’t apply. Once you’ve lived in the US for five years on a visa or with a green card, you can apply for citizenship. You have to have your biometrics read and be interviewed. This interview is an English and civics test. You must pass both tests to get citizenship. If you fail either test, you can retest again in 60-90 days. Once you’ve passed your tests, you get to take the Oath of Allegiance. Congratulations! You’re an American citizen! You may still have a few questions. Try looking for an immigration lawyer. They’re available to give advice and answer your questions on how to enter the US legally. With over 6 million visa applications submitted every year, it’s no secret that many people are trying to immigrate to the United States. However, only around 1 million of those are actually accepted every year. If you or someone you know is trying to immigrate to the United States, then you need to get all the immigration advice you can. As you’ll soon see, there are a number of reasons to get advice from an immigration lawyer, but it all boils down to one main point: you need to do whatever it takes to improve your chances of getting approved. There’s no better place to get immigration advice than someone that specializes in that area of law. As you likely already know, immigration laws are complicated and can be difficult to understand. Furthermore, each situation is different, so you may have a question that can’t be easily answered by looking through information on the government’s websites. Sometimes, you may not even be sure which forms you need to fill out. An immigration attorney, on the other hand, can quickly and easily answer your questions about your situation from their vast knowledge of the law. It’s by far the quickest, easiest, and surest way to get immigration advice. In addition to there being a number of immigration laws, there are also many requirements you need to fulfill to successfully get a U.S. visa. While some of these requirements can be found online, many of these are vague and don’t offer enough information to know if you meet the requirements. For example, you must prove that you can support yourself (and your family, if applicable) while living in the United States. However, because each situation is different, there aren’t numbers listed for how much you need to be making. There are other requirements that you need to fulfill that may be even more difficult to understand, especially if English isn’t your first language. This is where a lawyer can give you immigration advice. They should be able to give you a good idea of how much money you need to prove you have or will be making to the government so you can apply. Although having everything organized isn’t the most important part of the visa application process, doing things right even in this small way can help you get your immigration visa. Sometimes, this is as simple as having your original documents first and copies of each following them. But whatever it is, an immigration lawyer can get everything put together as the U.S. agent is expecting. They will also make sure that you have all the forms you need. There is a different form for every situation and many people will need to bring several to apply. Since not having the forms filled out correctly and missing necessary forms entirely are both quick ways to be denied, you need to make sure you have someone knowledgeable checking everything for you. Do you know which of your documents need to be translated or where to get your documents translated? What about materials that need to be certified by lawyers? Every piece of evidence you present needs to be a certain way. You will likely need to have international travel documents ready as well which will need to be presented correctly. In most cases, you will need to have your documents translated and specially certified. But you can’t have just anyone translate your documents for you, so getting direction from an immigration lawyer will help get exactly what you need the first time. From the moment you walk into the immigration office to present your case, you will be judged. Unfortunately, that’s just part of the job of immigration agents. They need to make sure that every person that wants a visa won’t end up being a burden on the government or a nuisance. This is therefore another area in which you should get immigration advice from a lawyer. A lawyer can teach you what to wear when you go to your appointment, what to say, and what questions you can expect to have to answer. It’s normal to be nervous when you go to your visa approval appointment, but being as prepared as possible by getting legal advice can calm your fears and allow you to be more confident and relaxed. When you go into your appointment with confidence, this can improve your chances of success because you’ll be able to answer the questions easily and won’t be flustered when asked to present certain pieces of evidence. The unfortunate truth is that if you don’t succeed in getting your visa approved the first time you go, you may not get another chance to apply. This is sadly true for some of the people that are not successful the first time around. In some situations, you may be able to reapply at a later date, but other times, you will be permanently denied from entering the United States. To limit your risk of being rejected, seek immigration advice from a lawyer first. An immigration lawyer will make sure you have done everything you can to increase your chances of being granted a visa the first time you apply. This way, you don’t have to worry about being banned from reapplying. There are several ways that getting help from an immigration lawyer can help speed up the immigration process. First of all, because these lawyers know the law and requirements, they can help you gather precisely what you need quickly. They’ll also make sure you get the right thing the first time so you don’t need to get anything a second time. Secondly, they know the right people to talk to which can help you get into an immigration office sooner to see someone compared to if you were doing everything yourself. In part because of the sped-up process, asking for immigration advice can help save you money. After all, you won’t have to take as many days off of work to run around and collect all of the paperwork you need. The other way an immigration lawyer can help you save money is by eliminating the need to reapply for a visa. The application itself, as well as some of the needed paperwork, are expensive. If you find yourself needing to reapply, then you have to pay the application fee again and may lose more time from work gathering the correct paperwork. For that reason, an immigration lawyer can help you save money. For many people, immigration is not a one-time event. Following your initial acceptance, there will be a probation period while living in the United States before you can start to pursue gaining citizenship. Sometimes, you may be able to get to the United States with one type of visa and then later decide to apply for permanent residency. This will require a change of visa process. Knowing that you can get help at any point in your immigrant process should give you peace of mind. By seeking immigration advice from a lawyer, you can have someone to rely on every time you hit a roadblock. No matter what problem you find yourself running into, an immigration lawyer will be able to answer your questions and give you the advice needed to continue. If only to look good on their own track record, an immigration lawyer wants you to succeed in getting to the United States. Because of their drive to see you succeed, they’re a great source of immigration advice. A good immigration lawyer will do whatever they can to help you succeed. They will direct you to get all the paperwork done correctly and help you fill out forms. They may even coach you on how to respond to the questions that you’ll be asked at your appointment. Sometimes all you need is someone that wants you to succeed to do so. After all, they’ll not only provide you with the practical help needed to get your visa, but they’ll also encourage you to keep going even when it gets tough. The road to immigration is a long one that is filled with many obstacles to overcome. However, it’s far from impossible to achieve your goal of getting to the United States. The best chance you have is by getting immigration advice from a lawyer that specializes in immigration. They will be able to help you every step of the way until you have reached success. Fortunately, there are a number of US attorneys that can help you with your next step in your journey to immigration. Contact one today and let them know that you need some help and they’ll be eager to help. © Copyright 2019 Halt Law Directory | Connecting Attorneys with Clients in Need. All rights reserved.